The emerging of the “Internet of Things” seems the brighter future of technology. Mobile technology is rising at such a great speed and has become an essential part of the digital ecosystem. Moreover, people expect that mobile app will let them do virtually everything which laptops can do (if not more), in a slick, unified experience. Current trends already proved that the future is mobile. Thus, to ensure a sustainable success in business, it has become more than essential to stay updated with the latest Mobile Application Development trends. We are already past halfway through 2016, and here are some of the modern trends that you can look up to. Mobile devices do not limit to smartphones only. This one of the huge change that everyone is experiencing. IoT has transformed the way we see our lives and interact with things surrounding us. According to the latest statistics, more than 4.9 billion devices make up Internet of Things. Mobile devices are playing a key role in adopting IOT technologies because it is handheld and widely been used. Hence, mobile applications are now working as a bridge between the world of internet and various IOT devices control them. Practice existing mobile platforms, mainly Android developers and enterprises finding loads of opportunities for developing mobile applications based on home automation, proximity locations, retail, computing etc. Recently, hybrid apps are on a rise as it covers both the web and native apps. The biggest advantage is; it can be built with reusable resources and can be launched on multiple platforms. Notable Features: Perfectly fit on multiple platforms, robust performance, and classy features. Cloud technology is performing a major role in mobile app development. Nowadays everyone wants mobile apps which can be accessible from any place, on multiple devices with same feature sets and functionality. This mean everything should be stored on a cloud. This technology carries a positive change in every business. 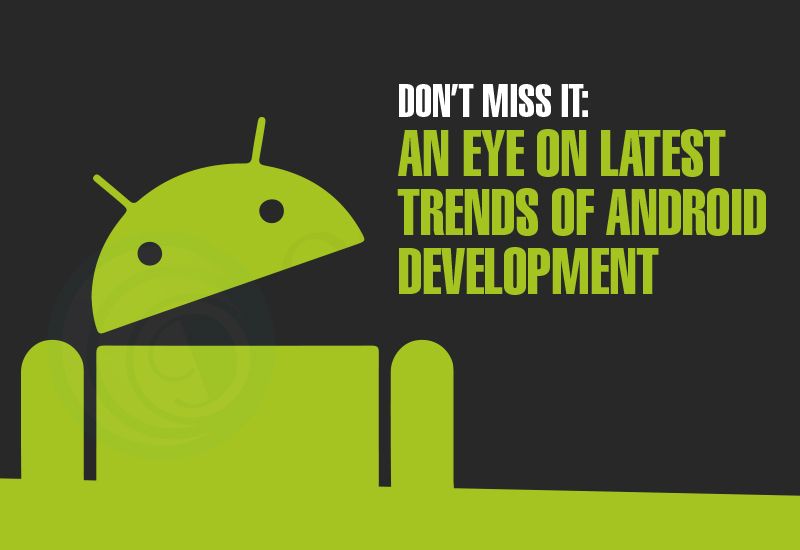 Enterprises are having a hard time keeping up with the demand for Mobile Application Development. So this has given a wondrous opportunity for developers. Many big companies and organizations are using customer focused enterprise apps to add value to their businesses; this trend is all set to continue in for the next coming years. Moreover, businesses are coming up with enterprise mobile apps and BYOD (bring your own devices) concept for their employees to enhance the work productivity and efficiency. Mainstream technology for coming years. The wearable is going to move beyond Samsung Galaxy Gear, Google Glass, Apple Watch, Mi wristbands or more; this technology will undoubtedly blast with a variety of wearables including those focusing on fashion and health care. Now, its developers turn to develop wearable apps synchronized or functioned existing mobile applications. It is predicted that the wearable industry will cross over billions within the following few years. Hence, iPhone developers and Android App Developers require to keep a close eye on the updated wearable technology and its ecosystem, to walk with a competitive market of fast-moving technology. Only developing a mobile app is not enough, to make it secure from vulnerabilities is also very essential. Due to the online transactions are on a rising scale, making enough efforts to protect data is necessary. Being a developer, make sure to perform entire SAST (Static application security testing) before releasing the mobile apps. The most emerging trend recently seen. It is a term or technology that almost everyone is employing for online payment and goods purchase. Businesses are now shifting towards world wide web and make their presence online so as to increase their business value. Therefore, it is obvious that they will be in need of having a mobile app which can help users to explore their businesses and accordingly make payments. This has generated a great opportunity for developers to create such mobile apps that can process transactions without the need of physical cash or credit/debit cards. Yes, locations based apps are growing fast. Earlier, Yelp, Foursquare, Quicker and much more shared the space and flourished the modern way for real-time location apps. Identifying the potential in expanding the local business by developing mobile apps based on proximity and locations, now it has picked the full speed. Some rising examples: Ola Cabs, Zomato, Foodpanda etc. Apple has integrated the power of beacon technology in iOS connecting iPhone users to an iBeacons network. Beacon technology offers a range of services to mobile users within a particular geographical location. Depending on their proximity, users can be provided with buying suggestions, relevant information and a lot more. Rapidly progressing Mobile development enables retailers and marketers to hold the potential of beacon technology. Our Android app developers in India are distinguished by their technical expertise and combined with their hands-on experience, we assuredly deliver our clients a professional and effective service, all business requirements are satisfied within time schedules and budget restraints. We pride ourselves on our proven track record.